You can now order takeaway food online and pay with BitCoin - your only option at the moment is takeaway.com They currently have a selection of close to 8 thousand takeaway restaurants in UK with almost all of whom will accept online payments using BitCoin. 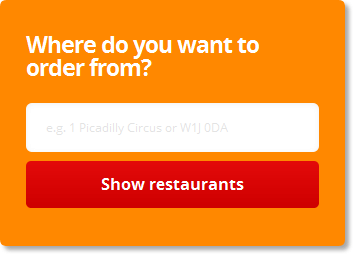 To order food online and pay with BitCoin please click the link below to proceed to takeaway.com website. If you know of any other takeaway ordering websites that accept BitCoin then please send us a message and let us know. We will be happy to add them to this page and spread the word.